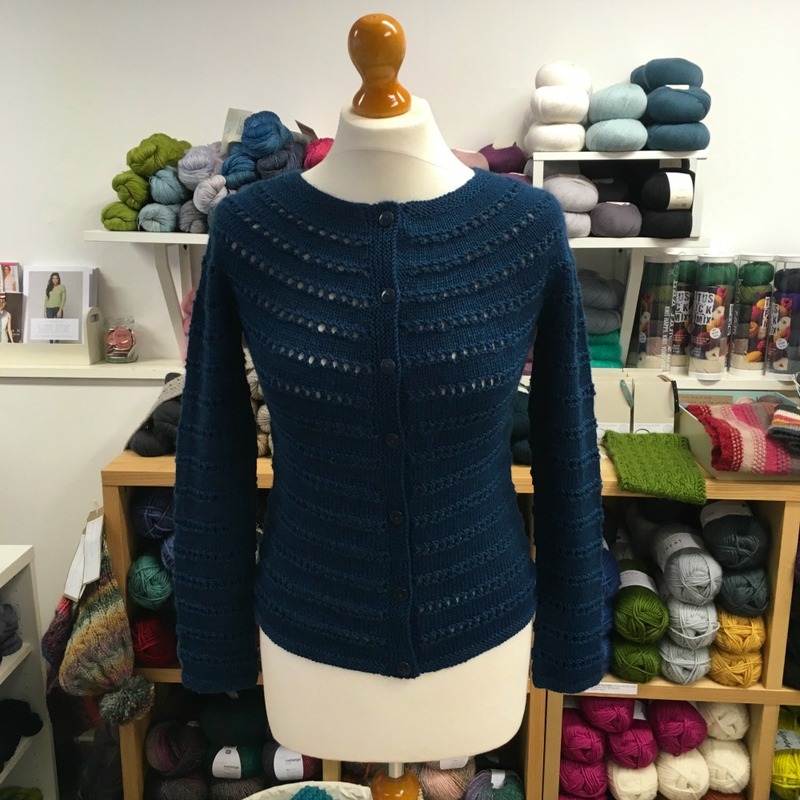 Line Dried is a top down DK weight cardigan. 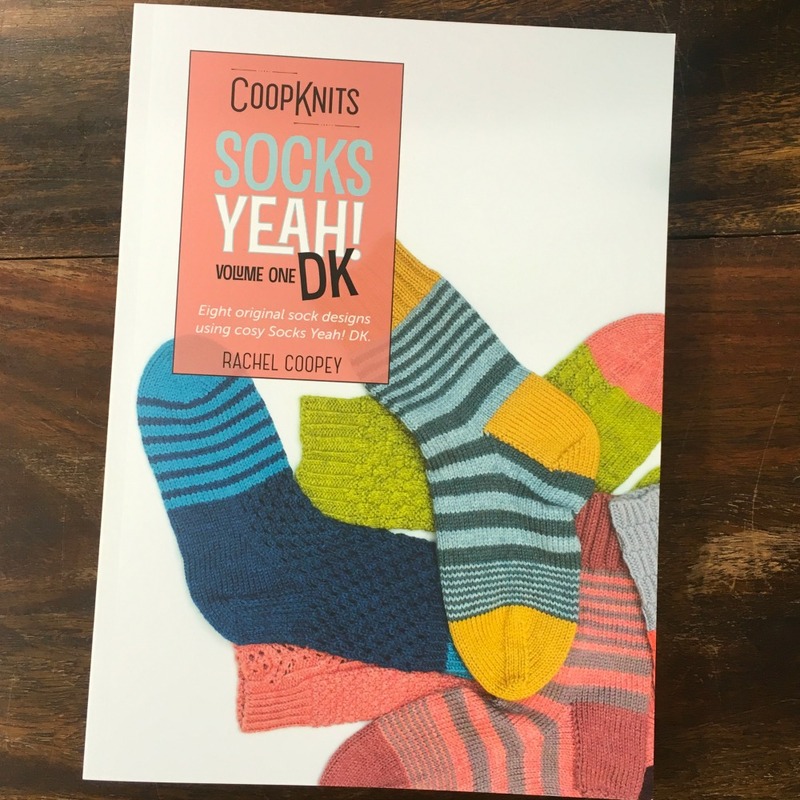 We've knitted ours in the fabulous Socks Yeah! DK. Yes it is called a sock yarn - 75% wool and 25% nylon - but it's perfect for so much more than socks. It's woolly but soft and the colours are rich whether subtle or vibrant. It has great stitch definition and it washes well. 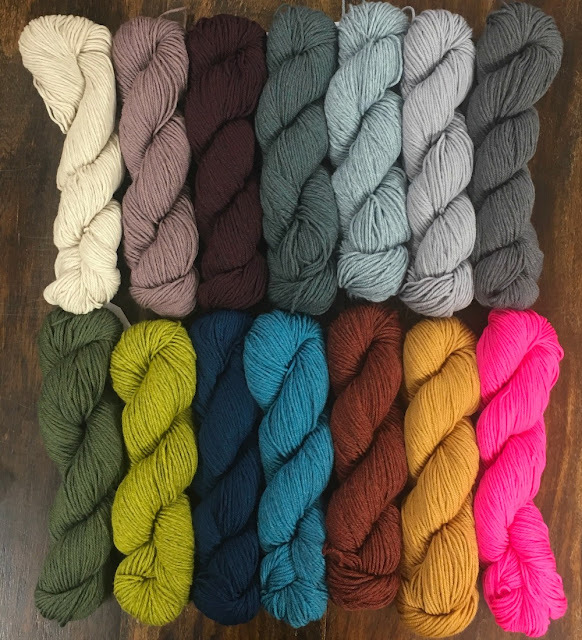 It's as fabulous as the 4ply version, just thicker and we have 14 shades in the shop. So... What's a top down cardigan? You start at the neckline and work your way down, increasing to make the top of the arms. Once you have enough stitches for your sleeves, you separate them from the body and continue knitting down. You put your sleeve stitches back on the needles, but this time you are knitting in the round. You pick up stitches from the button band and knit then on too. The pattern is available to buy on Ravelry (or in the shop through Ravelry). And it's available as a mini version too. 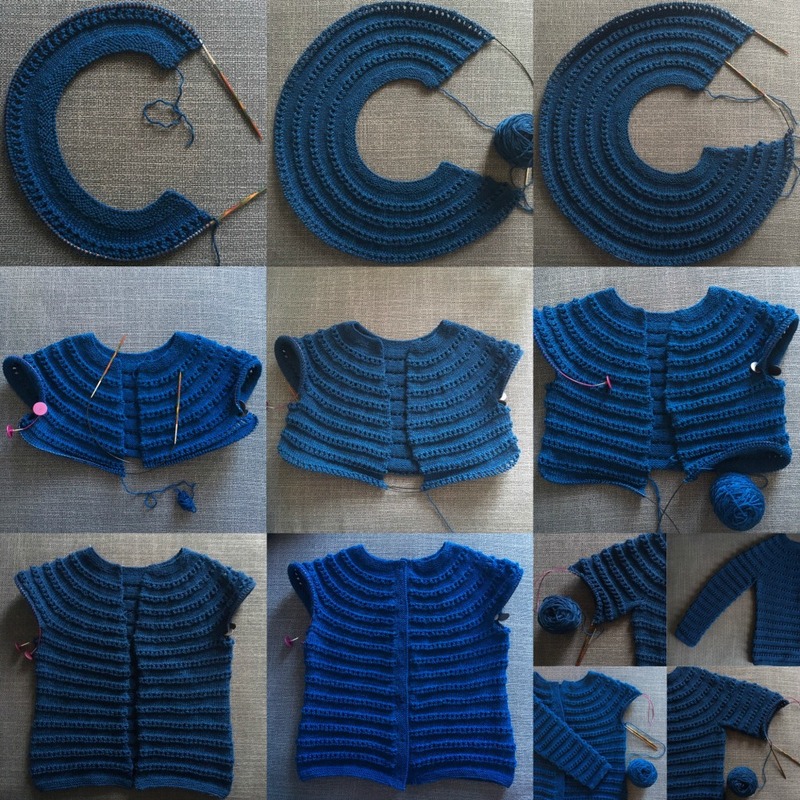 Want more photos of work in progress top down cardigans? Check out POP, a little baby cardigan we have in the shop.